The principle of this concept is taken from nature. Certain plants have very good self cleaning properties by combining a micro structured surface, which is coated with a hydrophobic agent. This is referred to as Lotus Leaf effect. The Lotus Leaf effect is based on super hydrophobicity (Fig. ), which enables plants to clean themselves from dust particles. Within SESBE a similar approach was chosen to functionalize the concrete surface towards easy-to-clean properties. The approach was to imprint a fabric structure into the concrete’s surface. 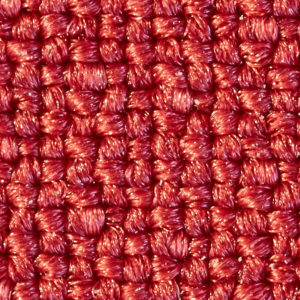 The textile produces two types of profiles: One is created by the weaving of the thread and has a profile between 50 and 150 µm. 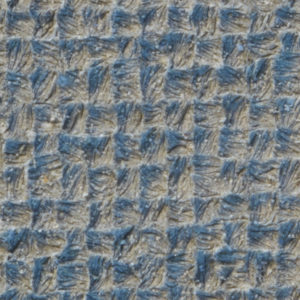 The other is produced by the fibers of the thread, typically with a diameter of 10 to 20 µm. 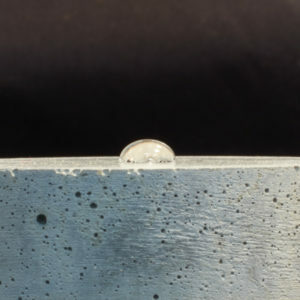 The water repellency is then created by a hydrophobic agent, which is mixed into the concrete. 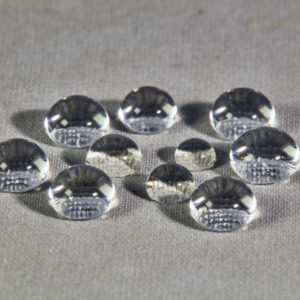 The following pictures show the beading effect of water, once it is in contact with the water repellent surface. By this method contact angles 150 – 170 o and roll-off angles < 20 o could be produced. Hydrophobic concrete surface with additional fabric imprint.